Much like the old K10, the new one is also based on the Alto 800 albeit utilizing the latest iteration as the base. While it may have lost the previous car’s low-slung, sporty appeal, it still looks good from most angles, especially in this particular shade of blue. An aggressive, wraparound headlamp cluster, a strong shoulder line and the slightly elongated bonnet to accommodate the bigger motor are some of the highlights of the Alto K10’s design. 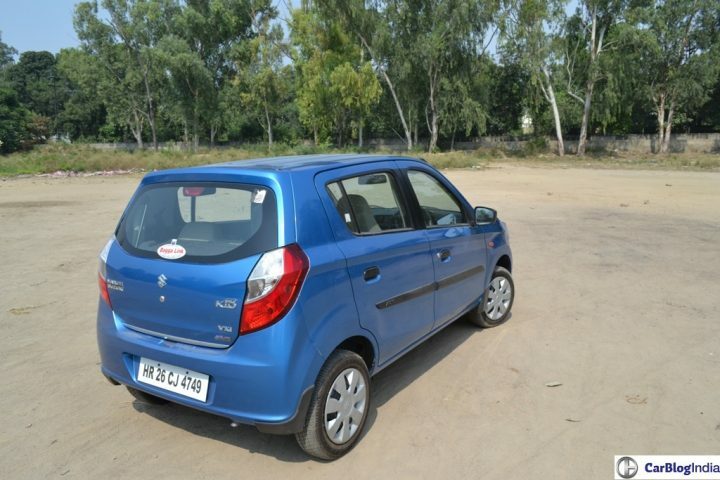 The Alto 800 origins are most evident in this car’s side profile. 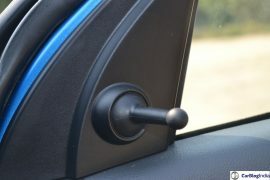 The K10 possesses the same window area and also borrows the strong character line that flows smoothly into the tail lamps. 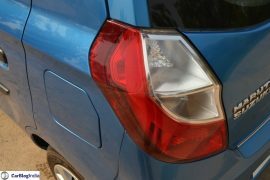 Much like the front-end of the Alto K10, the rear has also been thoroughly revamped with a new set of taillights and a reprofiled boot lid. Maruti has added some chrome bits to the front grille and the lower edge of the boot lid to inject some premium-ness to the exteriors. The overall design has the sort of eagerness to it that does justice to the sprightly 1.0-litre unit that sits under the hood. While the exterior is a far cry from the previous model’s sporty demeanour, the interior has thankfully lost the low rent feel of the previous K10. The dashboard layout is neat and everything falls easily into the driver’s hand. 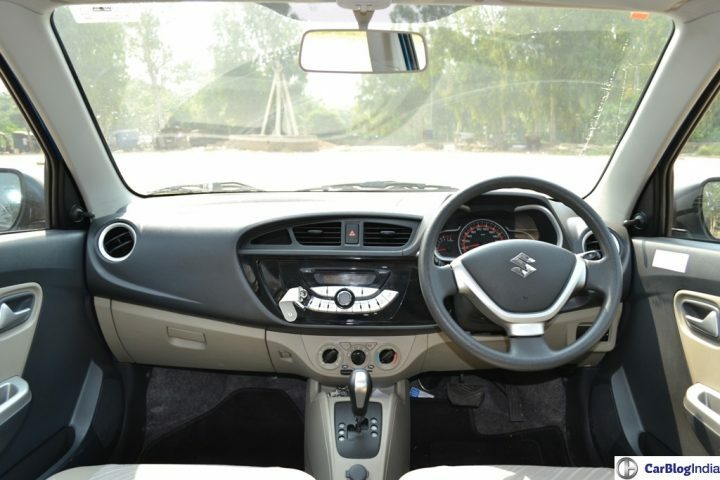 Maruti has used the black-beige colour scheme to good effect, which in turn gives the Alto’s cabin a pleasant and an airy feel. 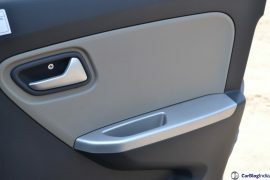 What we didn’t like, however, is the lack of storage spaces in the cabin. There’s only one cup/bottle holder tucked away behind the hand brake lever and you could be forgiven to not notice its existence. Also, the rear bench is not the most spacious around. Even with the front seats positioned for a driver of average height, you can still feel the rear passenger’s knees digging into the back. 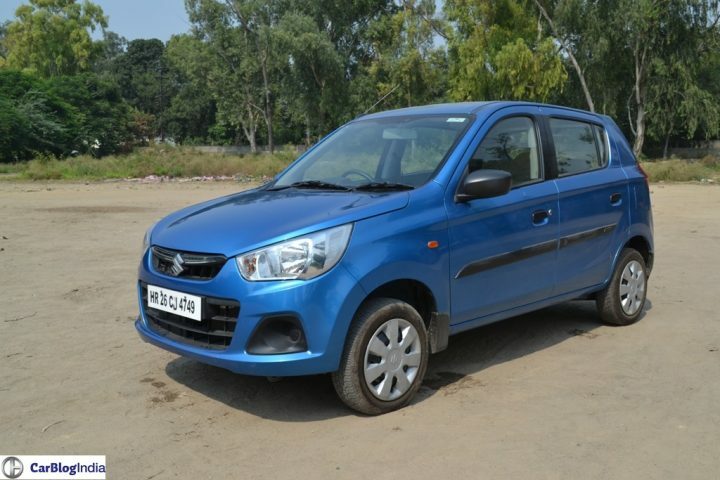 Naturally, the Maruti Alto K10 does not boast of an extensive features list with only the essentials like aircon, power steering, and internally adjustable ORVMs making it to the VXi trim that the AMT is available in. What’s disappointing is the lack of airbags and ABS, which aren’t even offered as an optional extra. Another grouse we had with the Alto is that only the front windows are electric-powered. 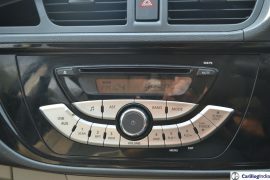 Also, the stereo gets only two speakers, but this integrated unit performs decently and gets USB and AUX support. 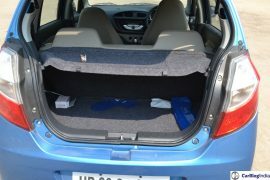 The cabin aesthatics and quality are impressive, but we do wish Maruti would have thrown in a bit more kit. 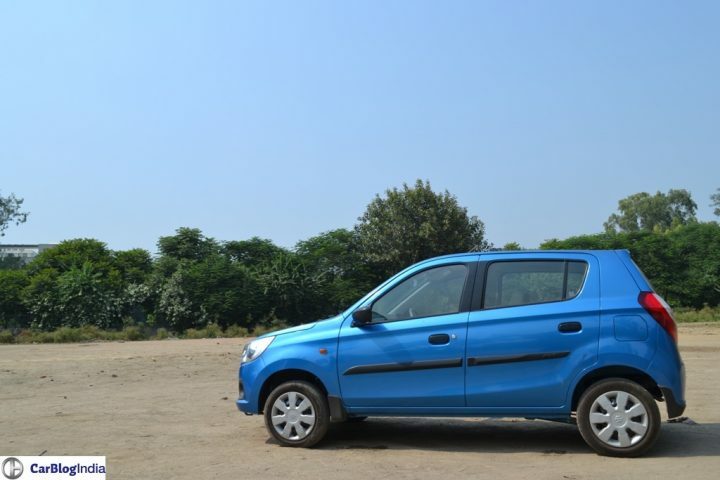 The Alto K10 AMT has the same engine and transmission pair as the Celerio, but thanks to a lower weight, the Alto K10 feels a wee bit quicker. It is very sprightly off the line and it’s only when you reach speeds north of 70-80 km/h that the engine starts feeling a bit strained. The biggest talking point here, however, is the 5-speed AMT. This unit feels smooth and the jerks at lower rpms are well contained. 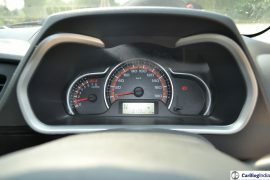 When driven with a light foot the gear changes are relaxed and happen at a relatively low rpm. 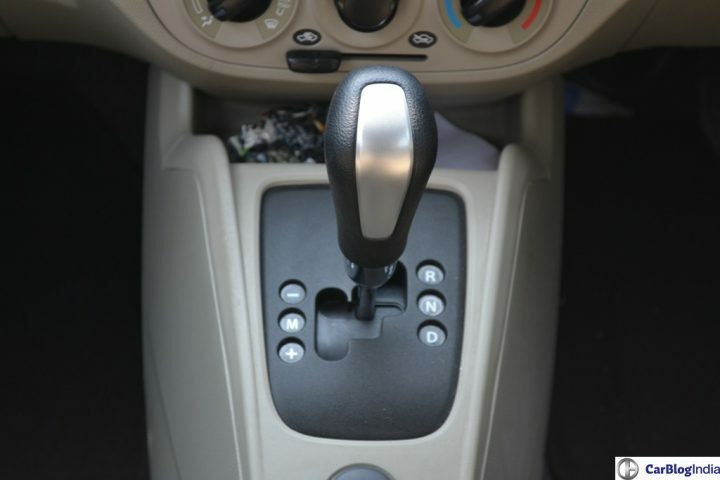 However, we do wish the gearbox was slightly more eager while downshifting. But this issue is taken care of to some extent in the kick down mode. Pressing the accelerator hard makes the ‘box drop a couple of gears and surge forward holding on to a particular gear till the red line. You can also engage manual mode and take matters into your own hands, quite literally. 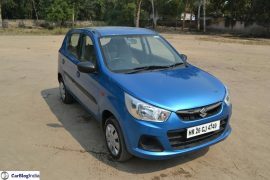 Automatics are meant to reduce driver fatigue and make easy work of moving through traffic and the Alto K10 AMT manages to do just that, without giving us too much to complain about. In terms of ride quality and comfort, the occupants will not have too much to complain about. 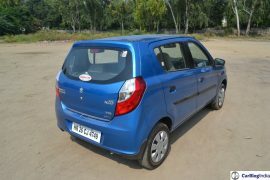 The Alto performs decently over bad patches of road, but it can be very unforgiving if taken over bumps and potholes at higher speeds. The front seats are a bit of a mixed bag as they offer good bolstering for the upper back and shoulders, but lack in lower back support. 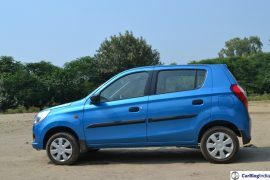 After spending a few hours behind the wheel, you will realize the dynamics of the Alto aren’t very enthusiast-friendly. 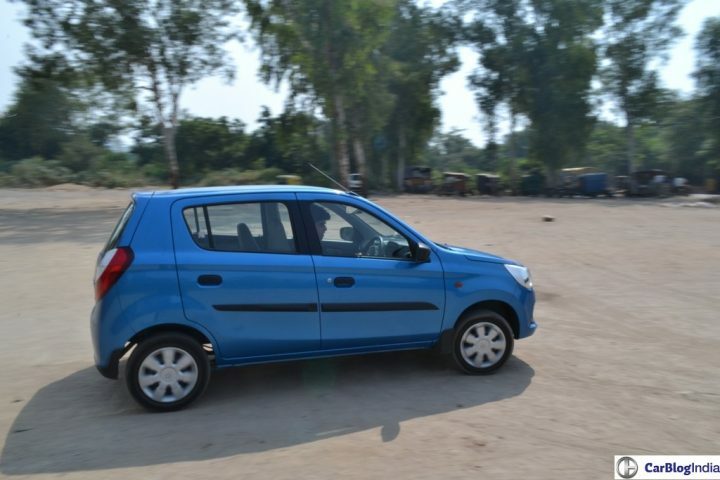 The peppy engine powering the Alto is let down slightly by the tallish stance, which comes into play while cornering. The body roll is pretty apparent and the skinny tires aren’t very sticky either. 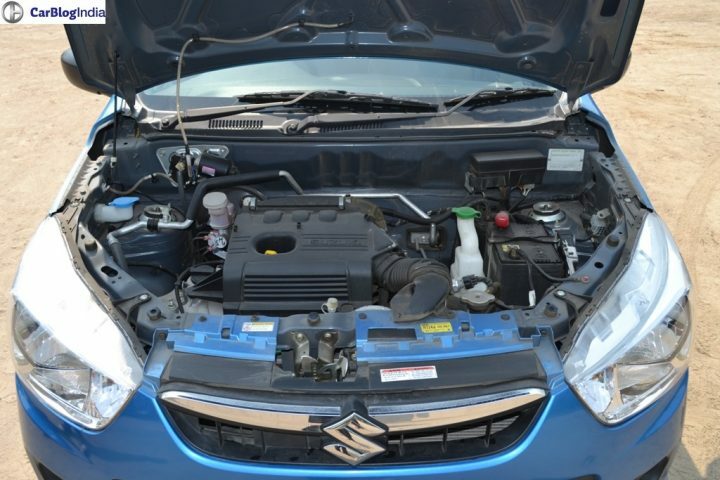 Having said that, under normal driving the car performs well and handles city roads and highway runs with ease. Feedback from the steering isn’t great, but the light setup ensures easy maneuverability through tight spaces. 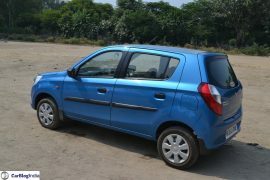 Speaking of which, the Alto is a pretty nimble car and makes short work of moving in and out of gaps at moderate speeds. The brakes do their job very well and although there is a slight lack of feedback, their performance is satisfactory under most circumstances. Not much to complain about here either, except for the slightly vague steering and the presence of body roll. 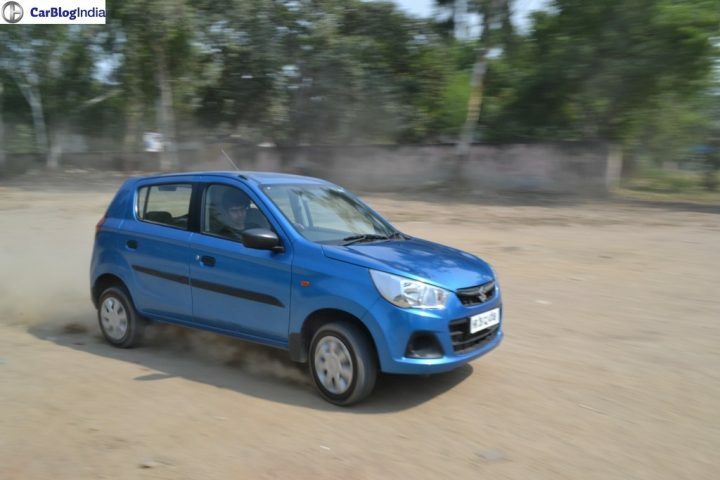 So what do you think of our Maruti Alto K10 AMT Review? 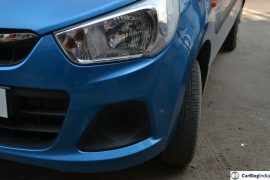 Do let us know via the comments section below and stay tuned to Car Blog India for more.